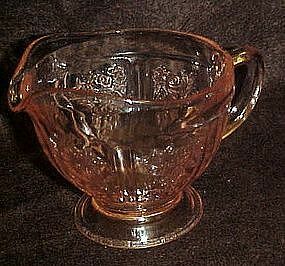 This pretty pink Sharon Cabbage Rose depression glass Creamer was made by Federal Glass from 1935 to 1939. This Creamer in very good condition with no chips or cracks. It measures 3 1/4" high.